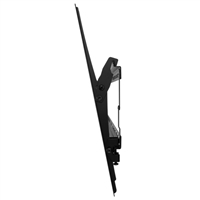 AVF AVF AL610-A Tilting Mount for TVs 37" - 80"
The AL610-A is an adjustable tilt TV Mount for flat panel TVs 37 - 80 inches. It supports a TV weighing up to 132 lbs. and even with the additional tilt feature: it has a profile of only 1.34 inches from the wall. It is VESA compatible with hole patterns 50x50mm - 600x400mm. 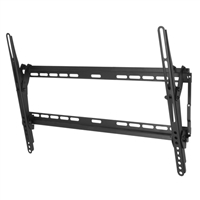 The tilt TV mount not only saves valuable shelf space: but it also safely secures your TV to the wall preventing it from accidentally tipping over.